ukulele will go on sale this month and you all will be the first to see it on video!!! 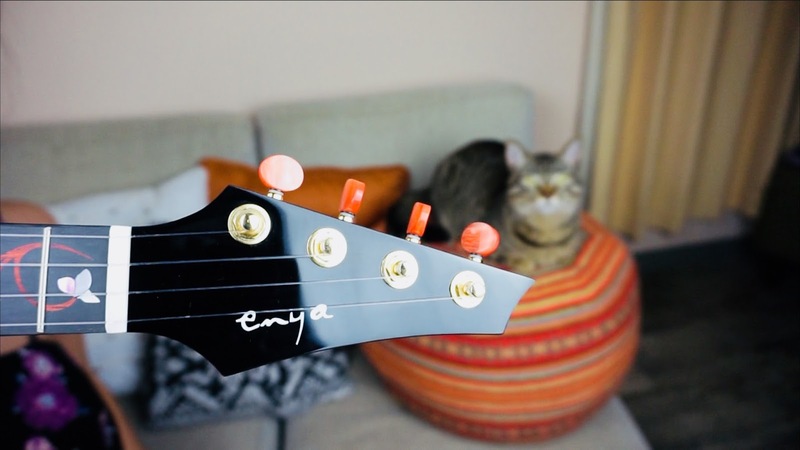 A few months ago, Enya released a photo of their newest ukulele, which would hit the market Spring 2018. 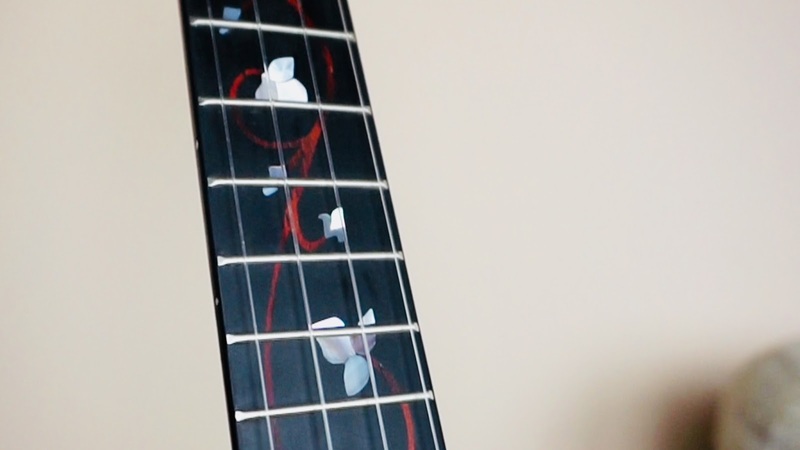 The inlay on the fingerboard, the tuning machines on one side (AND ORANGE), as well as the cutaway design really caught my attention. 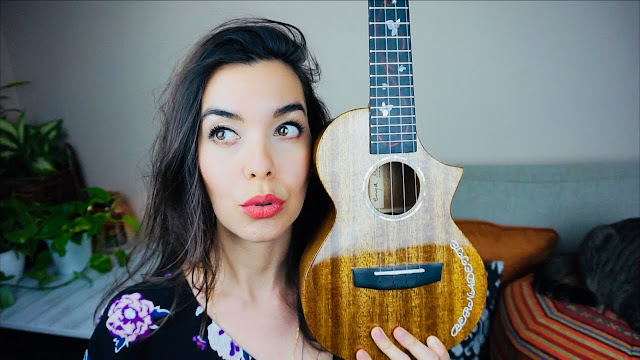 If you follow my channel, you know that I'm no stranger to Enya ukuleles. 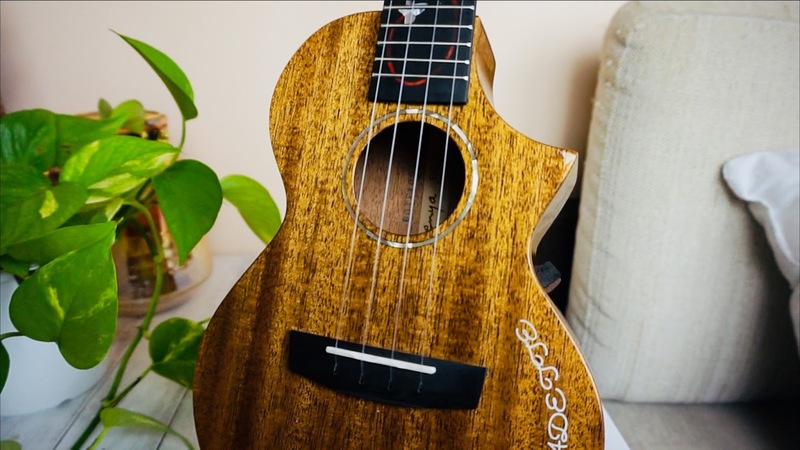 I really love their ukuleles because they are affordable, come with a great bundle, have strap buttons, and are just a little bit different -in a good way. Some of their ukuleles are made of laminates that are much more resistant to weather changes than wooden ukuleles and I just love that. As a music teacher, I always want to find the best deal for my students while also making sure they have an instrument they'll enjoy for years to come. That's why I always recommend Oscar Schmidt, Kala, Lanikai, and Enya. 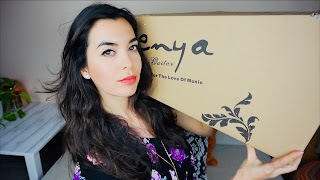 For those of you who enjoy unboxing videos, I have attached the Enya M6 Unboxing video below. 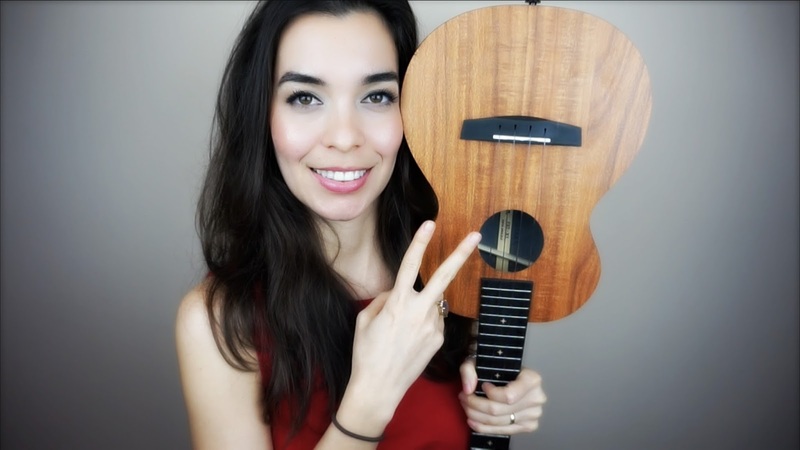 In the video I tune and play the ukulele so that we can hear what it sounds like. At the risk of embarrassing myself, I played a few barre chords so that we could test how easy or how difficult it would be to play these chords. I'll be the first to admit that I have weak hands and my barre chords don't always sound great. There's no shame in that! We all have something we are working on. I was pleasantly surprised when I was able to get nicely ringing strings and no buzzes or muted strings. Obviously right now it way too early to give a full review, but I will continue playing the ukulele in future videos and keep you updated on how it's doing. I think the next attention-getter is the fingerboard. I haven't seen many ukuleles with a design like this. It looks like there is mother of pearl or seashell parts to it as well. These parts appear to change color when they catch the light. Finally, the next part of the ukulele that stands out to me is the cutaway on the body. I've never had a ukulele with a cutaway design, so now I feel the pressure to explore the lower end of the neck! When my YouTube channel passed the 10,000 subscriber mark I bought Kaka ukuleles to give away to a community center. Kaka ukuleles are made by Enya. If you scroll past the unboxing video, you'll see the blog of the day the ukuleles were given away! As soon as the ukulele is posted on Amazon, I will add the link to it in this blog post.